Last time, we talked about axles and hubs and how making changes to these parts can make a big difference on how your kart handles. This will allow you to optimize your kart for track conditions and improve your race times. The changes to the axles and hubs that we described before assumed that there was no change to the rear track width. Widening the rear track can have a big effect on grip. It increases the lever arm to the outside rear tire and also adds flex on the axle similar to how changing the stiffness of the axle works. Increasing the rear track width will increase the flex and should be done on those days when it is hot and sticky and you have understeer. Rear torsion bars are the last of the items that can be used to make large changes to the rear end of your kart. 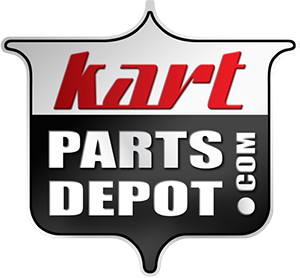 Most karts have adjustable or removable rear torsion bars. They are used to add stiffness to the rear frame so they should be added when the kart is loose and the track is slippery. After that, the tuning parts have a smaller impact on the kart rear end, but they still should not be disregarded. The rear seat struts and the seat are part of the chassis system and add stiffness to the chassis. Seats tend to be expensive and difficult to replace, so this is not the best place to look when tuning the kart chassis, but if you have to replace your seat, realize you may need to start again through the tuning process. The lower bumper bar can also have some influence on your kart. Most racing rules do not permit removing it, but adjustments may be possible there. It is a long list of items, and in the end, don't forget you can also consult your chassis manufacturer as they can help you understand how to make the system work together.